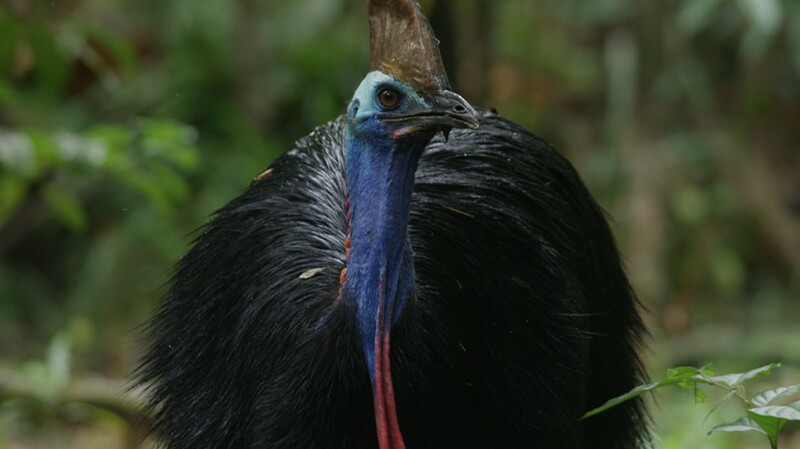 Dino Bird is a visually spectacular one-hour film that explores the life of the endangered southern cassowary through the eyes of matriarch Bertha, as she and her family strive to survive in the tropics of northern Queensland in the oldest rainforest on Earth. Over the course of one tumultuous season, Bertha, her partner and her chicks battle fearsome predators and formidable rains, but also play an invaluable role in sustaining life in this ecological hotspot. More dinosaur than modern bird, Dino Bird is an intimate and rarely seen portrait of one of Australia’s last remaining southern cassowaries.